Trust your auto maintenance to a NAPA care facility and AAA-approved shop. Our family-owned and operated business will put over 50 years of experience to work for you and keep your vehicle on the road for years to come. Make sure your vehicle is in the right hands. When you come to Roy's Auto, your car will be worked on by ASE-certified master techs. Our business has an A+ rating with the Better Business Bureau and offers FREE WiFi and a FREE shuttle service. 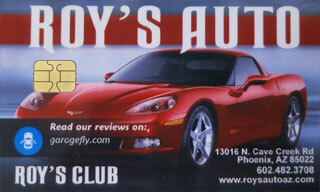 Each of our customers receives a Roy's Auto gift card that will net you 5% savings with each visit. After accumulating this amount, you can use it to take care of any repairs you need in the future. 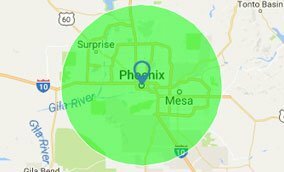 Bring us your car and get a FREE estimate on any type of repair and maintenance work you need. You know you are in good hands when you come to Roy's Auto that has been serving the local community since 1988. We will never sell you anything you don't need and we will walk you through the issue, showing you what repair is needed and why.